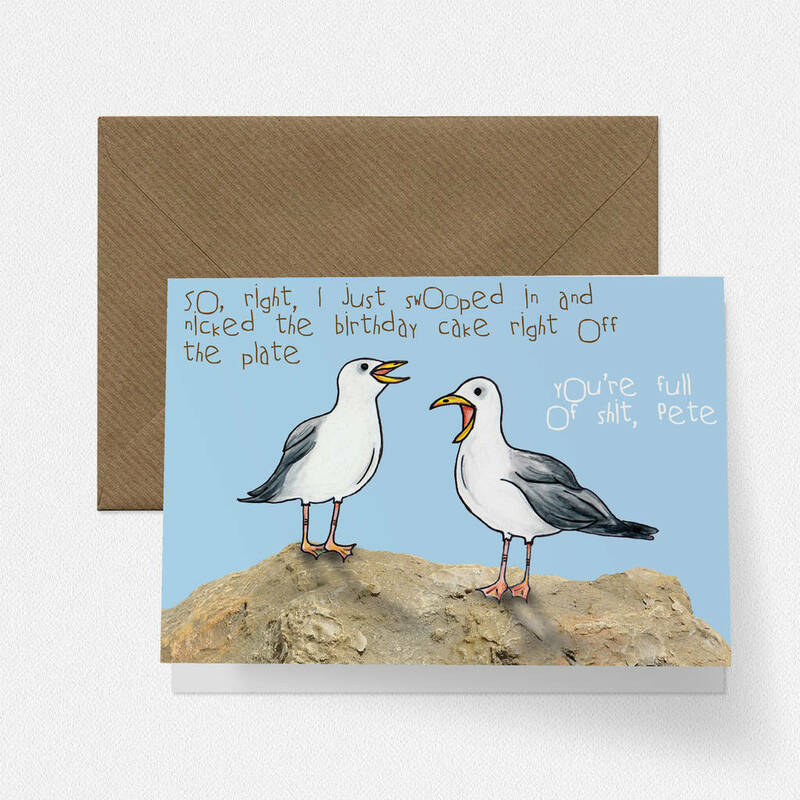 This rude and funny birthday card features a print or a hand-drawn, cheeky seagull illustration. Those seagulls are naughty little things, they also like cake & swears. 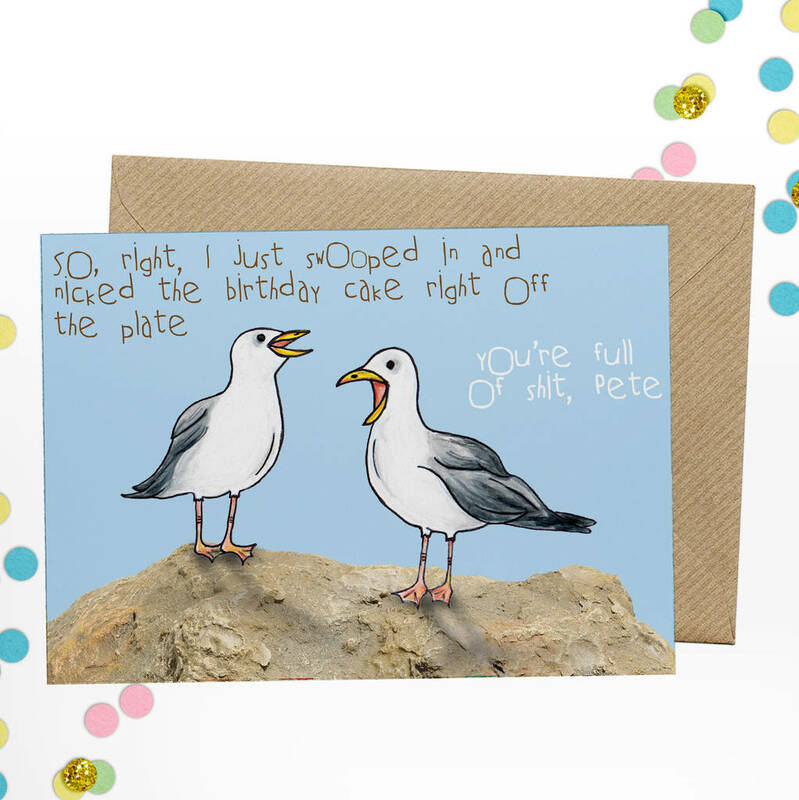 This card is perfect for those people that live near the sea and know just how tricky those birds can be. This funny birthday card features a print of an original hand-drawn illustration. The inside of each card is left blank so that you can write a message of your choice. The image is printed on luxury 325gsm matte card and is an original hand drawn illustration by Charlie. Packed with a luxury kraft envelope in a cellophane bag. Each card is A5 in size.